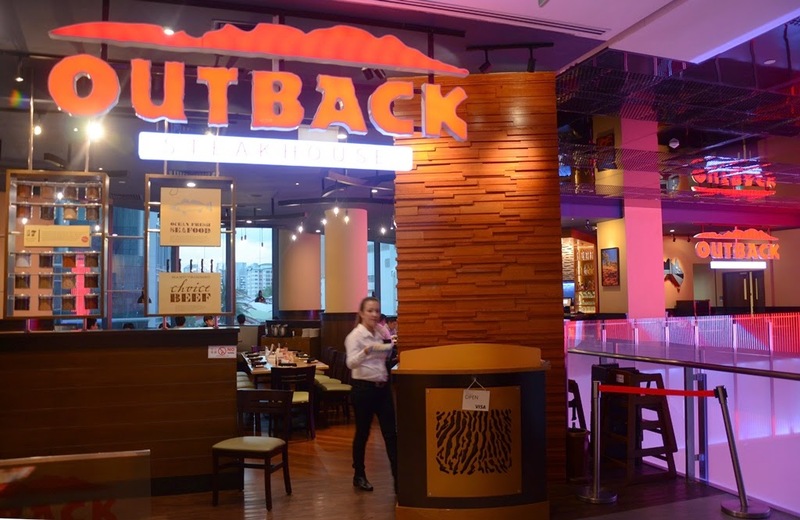 Many people would be familiar with Outback, the world's largest steakhouse chain, which first opened doors in Singapore back in 2000. Embracing Australian's hospitality, this American diner continues to uphold the philosophy of 'Quality, Freshness and Flavour' as outlined in one of the signboards in the restaurant. This mantra explains why Outback continues to grow its operations worldwide with more than 1,000 locations in 22 countries. Taking pride in its brand name, Outback promises to deliver premium ingredients and fresh flavours at affordable prices. Attention is given to the most intricate details such as their produce where all vegetables were seasoned and steamed just enough to coax the medley to blossom into full flavour just before service. 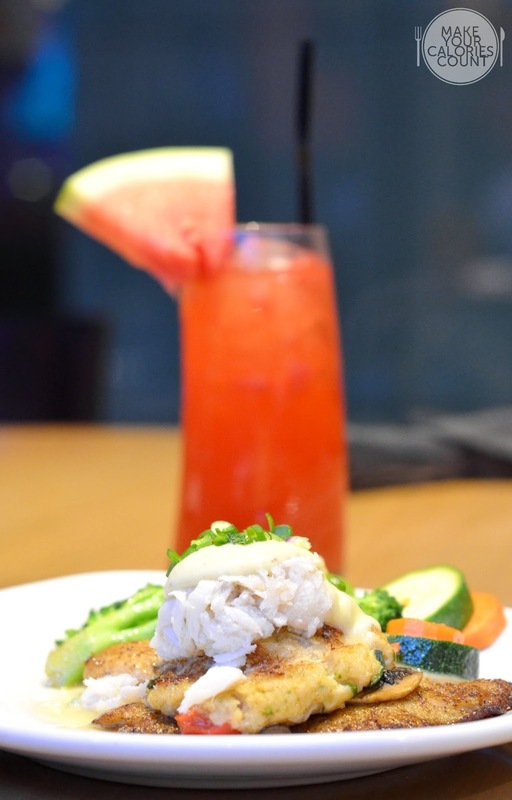 Moving away from conventional assumptions that Outback is famous only for their steaks and meat dishes, they have gone on to revamping their menu with a focus on introducing poultry and seafood dishes. 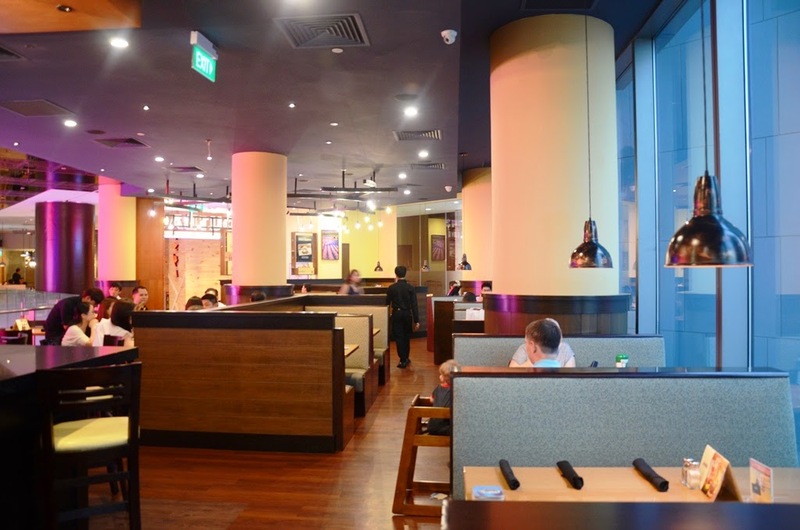 With my last dining visit to Outback in Australia some time ago, we were really looking forward to visiting the second outlet in Singapore newly opened at Orchard Gateway! 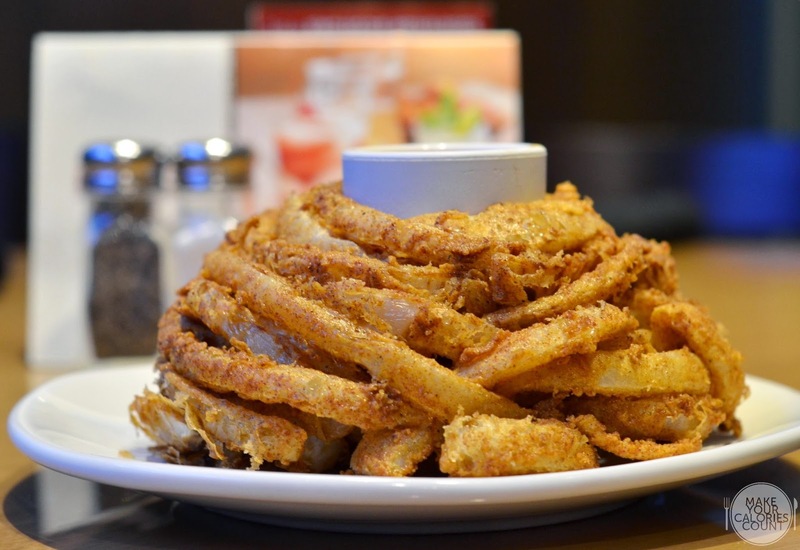 With hand-cut fresh onion rings carefully laced and stacked together, it was served with Outback's signature Bloom sauce which is a blend of spice mix, mayo and horseradish. You are not going to refuse that beautiful golden-brown crispy batter that gently coats the fresh onion rings. Dipped in the creamy sauce, it is a perfect starter for sharing among friends or simply over some beer! 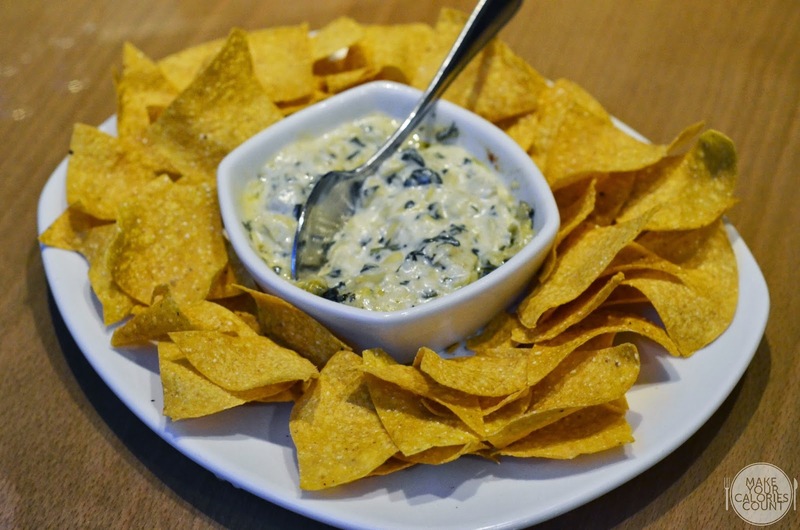 Another for sharing platter is this plate of freshly fried corn tortilla chips with an indulgent creamy melange of spinach and artichokes in Monterey Jack and Parmesan cheese. What made this a star for me was that the tortilla chips tasted clean and not greasy, which meant that a fresh pot of oil was used for the frying. The rich flavours from the cheese bearing a hint of spinach and artichokes went almost perfectly well with these lovely crunch bites. Served with seasonal vegetables, expect Tilapia fillets with crab stuffings piled atop with crab meat, sautéed mushrooms and a homemade lemon butter Chablis sauce. A classic sauce to drizzle over fish fillets, the white-wine based sauce was light and flavourful, packing some citrus zest from the lemon. 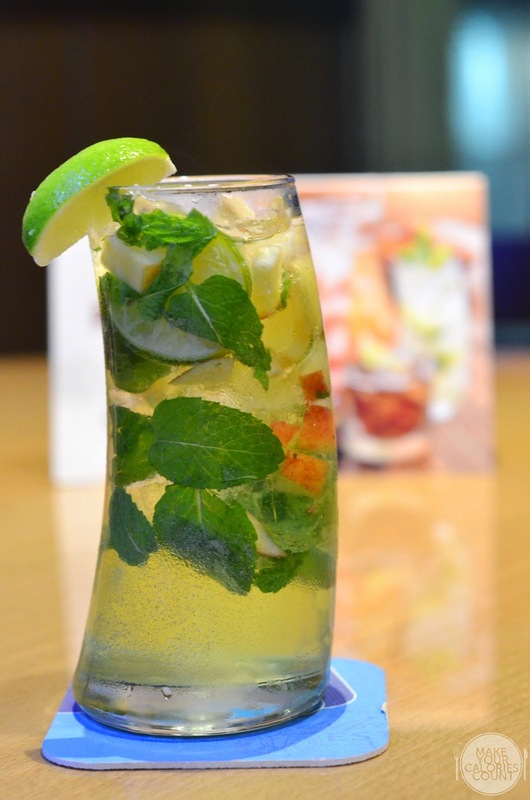 This helped to enhance the freshness of the seafood dishes. Between the dishes, we were introduced to the various types of cocktail drinks offered at Outback! Featured in the above picture, this cocktail was served in a sugar-rimmed glass containing fresh watermelon juice, Jose Cuervo Silver Tequila and citrus juices. My personal favourite for the evening has to be this which contained Bacardi Silver Rum, diced red apples, limes and mint which helped to give a refreshing twist to the otherwise heavy dishes served! For those with a sweet tooth, the diced red apples have that added sweetness to make it a pleasing drink for both gents and ladies. My other half however preferred the Strawberry Basil Lemonade | S$13.90/++, which packed Absolut Citron Vodka, fresh basil and strawberries, lemonade and Sprite. The best part about all the different cocktails is that fresh fruits were used in the making of the cocktails! A dish that tasted far superior than what it looked. 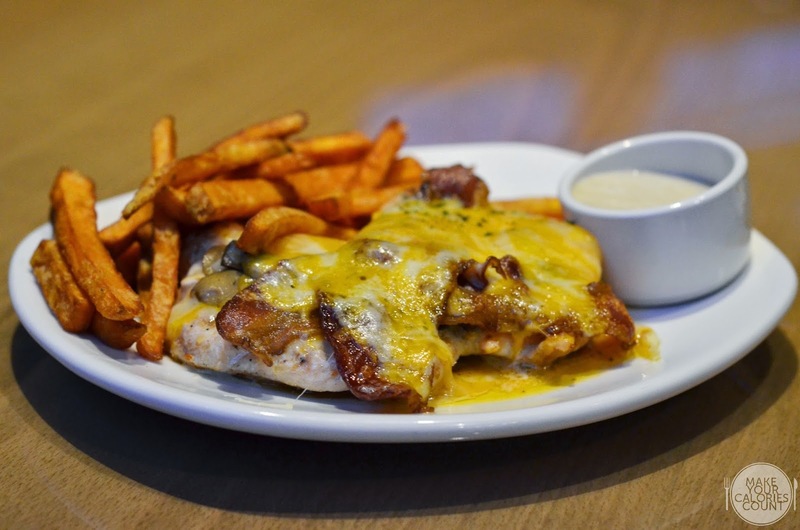 Served with sweet potato fries, the flame-grilled chicken breast was covered with melted Monterey Jack and Parmesan cheese, crispy bacon strips and sautéed mushrooms. There was also a pot of honey mustard sauce on the side to add some extra flavours to the already rich dish. I was really impressed with how moist and tender the chicken breast was. Paired with the crispy sweet potato fries which had a natural sweetness, it complemented the savouriness of the crispy bacon covered by the melted cheese. 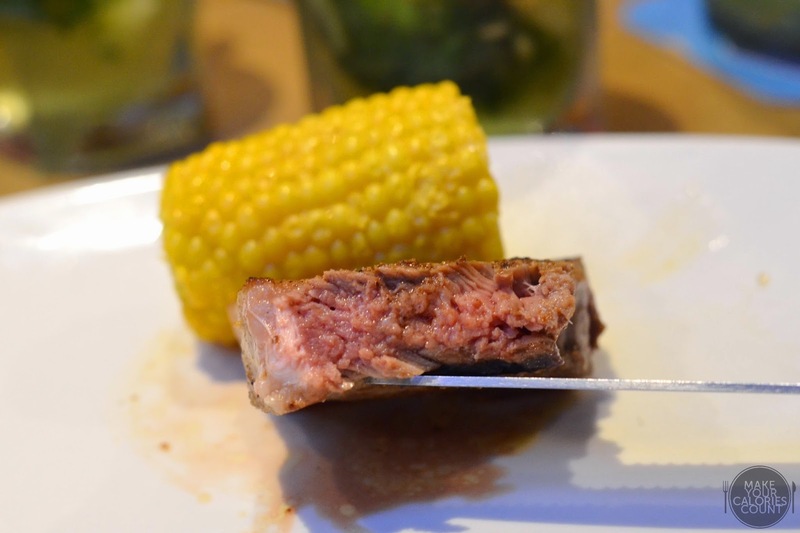 With a choice of two sides from nine, the 10oz thick-cut Strip Steak was a favourite at the table and was dissected before I had a chance to catch a snapshot of it. Seasoned with a secret blend of 17 spices, it was cooked beautifully to medium rare, retaining that desired pinkness in the meat upon the slice of the knife. My only complaint was that the Strip cut had some portions which made it hard to chew. 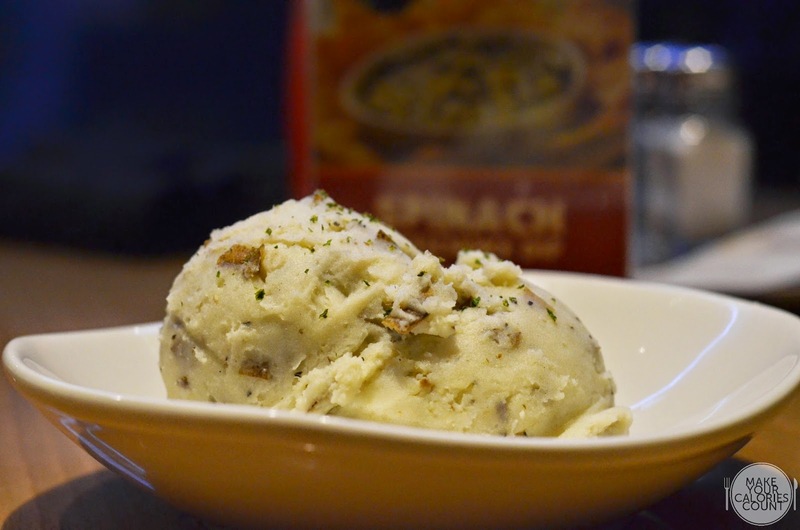 Among the nine sides, the potato mash blended with potato skin was quite a star as the added texture gave an unexpected twist to the usual velvety mash. It was well seasoned, creamy and rich with the coarseness of the crisp potato skin to make it a worthy add-on! Our favourite side for the evening was the newly added sweet potato served with cinnamon and honey butter. 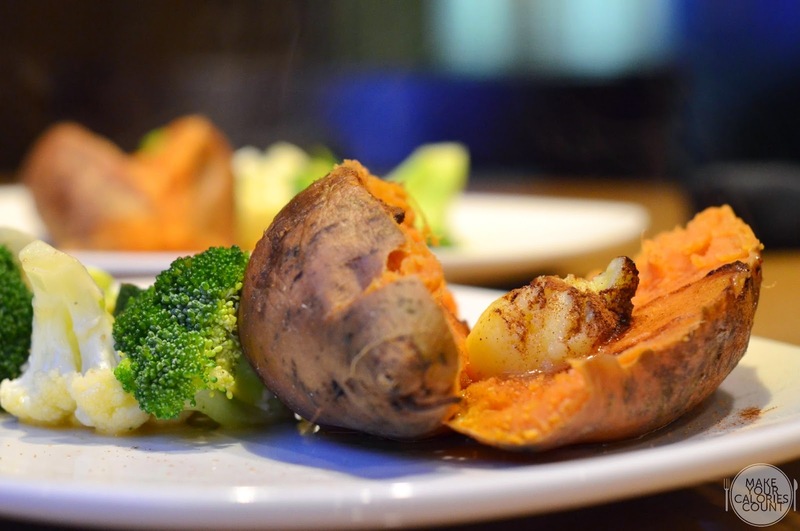 Protected by the sweet potato skin, the luscious orange flesh of the sweet potato had a natural sweetness that made us scouring for more. The addiction of the honey butter and cinnamon sprinkle made this a must-order to your side! 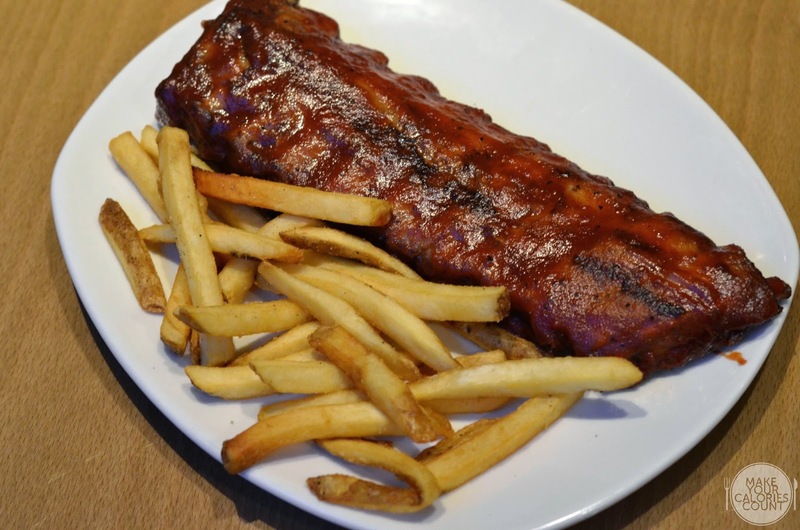 A classic American diner meal with fries that had potato skin on and a lovely rack of succulent-tasting ribs coasted in tasty homemade BBQ sauce that you could not resist. Smoked and flame-grilled to perfection, this was a natural winner and is no wonder why it is one of the signature dishes at Outback. With more than 500 recipes available under Outback, only some 30 to 50 classic recipes made it worldwide and this was one of it. Can you ever end a hearty meal without some sweet treats? Not for us anyway as we were pampered with this pecan brownie paired with vanilla ice cream, warm chocolate sauce, chocolate shavings and a sinful whoop of whipped cream. The lightly warm and moist pecan brownie made the vanilla ice cream melt almost instantaneously and this calories-laden dessert is surely not for the faint-hearted. 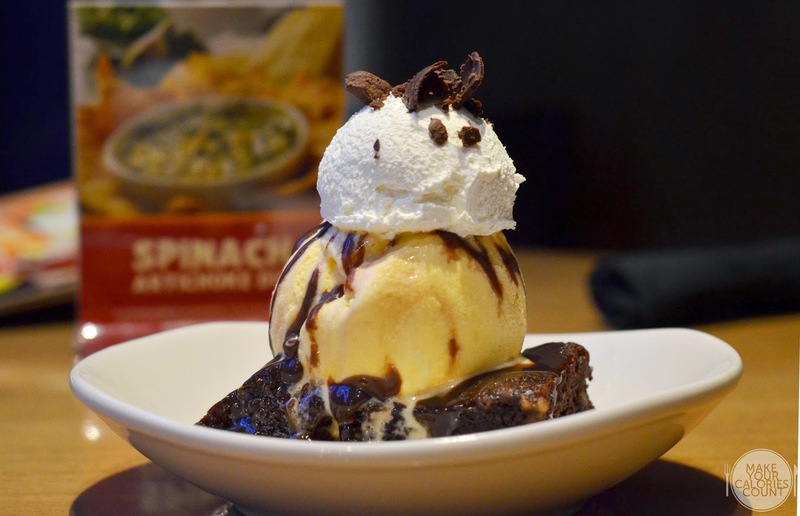 The serving was generous and easily makes this dessert a sharing portion, at least by our standards! This is your classic simple dessert made glorious by virtue of its divine combination. 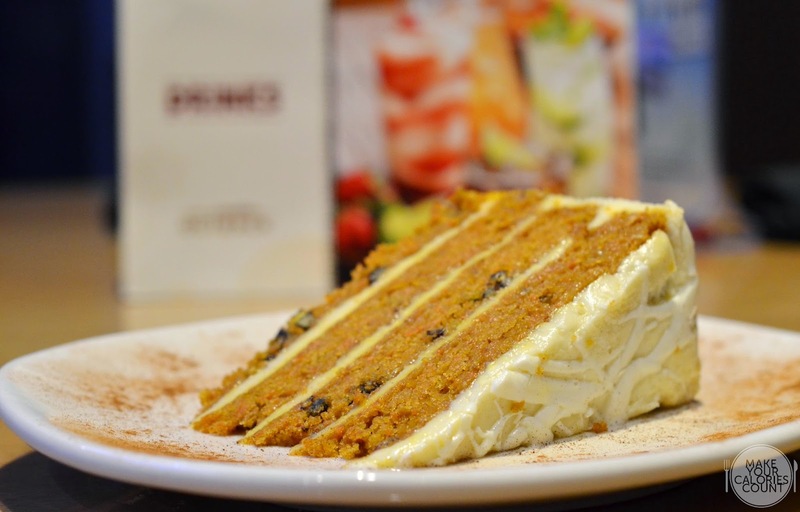 Quite an unexpected winner, the classic carrot cake actually won me over with its moistness and loads of pecan bits. Topped with a coconut, vanilla cream cheese icing, the combination went surprisingly well to make me award this generous slice of carrot cake a thumbs-up. This part of the restaurant is also available for private parties and events as it occupies the back of the restaurant. While the general seating arrangements at the front of the restaurant suggests a casual dining layout, the tables are still appropriately separated from the next, making it the perfect venue for social gatherings or even a family dinner. The service crew for the evening was attentive to our requests and we had no problems winning their attention. 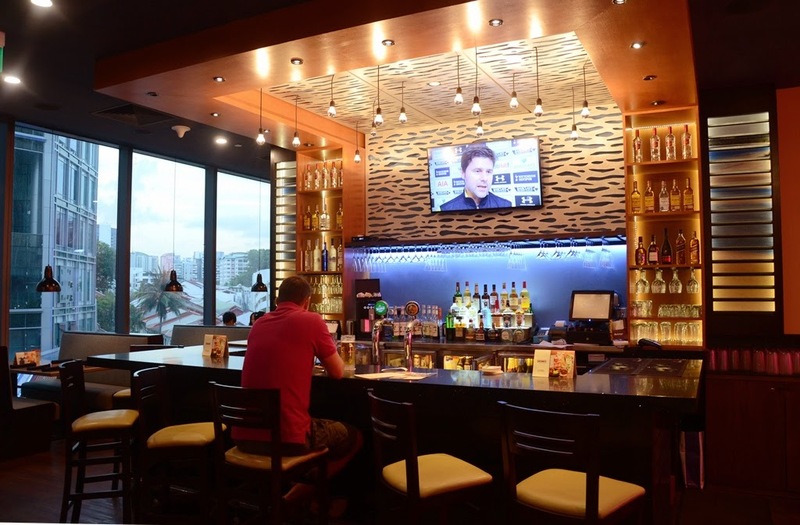 In order to provide a holistic casual dining experience, booze is almost a necessity and apart from having a 7-seater counter where guests can have a full view of the cocktails preparation while knocking a few pints over! 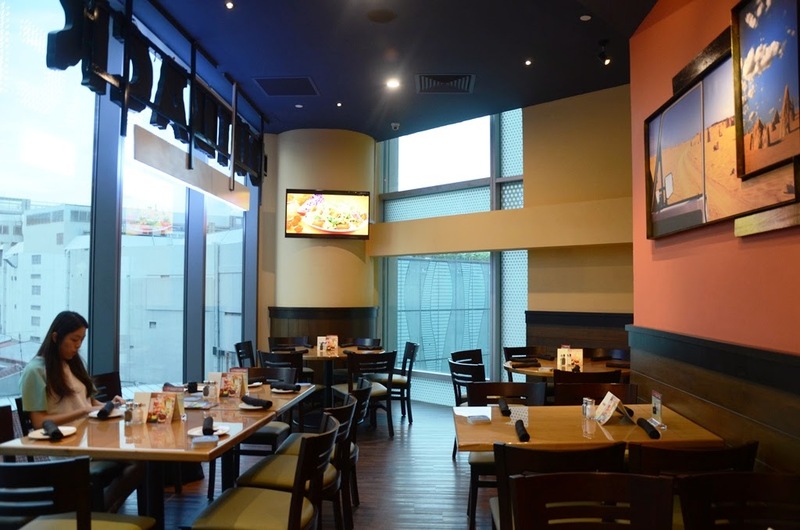 If you are looking for some quality Western food with generous portions while shopping in the Orchard Road precinct, Outback might be a worthy place to call in for a sumptuous meal. Consider yourself warned about the sinful calories you might pack in though! P.S: Special thanks to Chenyze and Outback for the invitation and great hospitality!